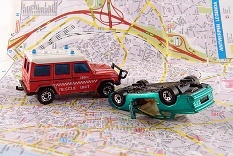 Know your Comprehensive Car Insurance Policy! Fire, explosion, self-ignition or lightning, Earthquake (Fire and Shock) Damage, flood, typhoon, hurricane, storm, tempest, inundation, cyclone, hailstorm, frost, landslide, rockslide. Burglary, housebreaking or theft, riot, strike, Malicious damage to your car, Accidental damage to your car, terrorist activity, any damage to car in transit by road, rail, inland waterway, lift, elevator or air. Loss of, or damage to, personal property carried in your vehicle, to a limit, Glass replacement (windscreen, sunroof and windows) and Towing charges from the place of accident to the workshop. Coverage of minimum 2 Lakhs for the individual driver of the vehicle while driving, travelling, mounting or dismounting from the car. Optional personal accident covers also available for co-passengers. Protection against legal liability due to accidental damages resulting in the permanent injury or death of a person, and damage caused to the third party property. 1. Normal wear and tear, breakdowns and general ageing of the vehicle. 2. Depreciation or any consequential loss. 3. Mechanical / electrical breakdown. 4. Wear and tear of consumables like tyres and tubes unless the vehicle is damaged at the same time. 5. Vehicles including cars being used otherwise than in accordance with limitations as to use. 6. Loss when driving with invalid driving license or under the influence of alcohol. 7. Loss due to war, civil war or nuclear risk etc. 8. Claims arising out of contractual liability. How to buy Third Party Car Insurance Online? Sonali;7982 wrote: How much claim amount, we get in case of glass and rubber parts? For Glass = 100% no depreciation at all. Rubber parts if you are taking about tire = 50% subject to vehicle also damaged at the same time (in it tube is not covered). How much claim amount, we get in case of glass and rubber parts?